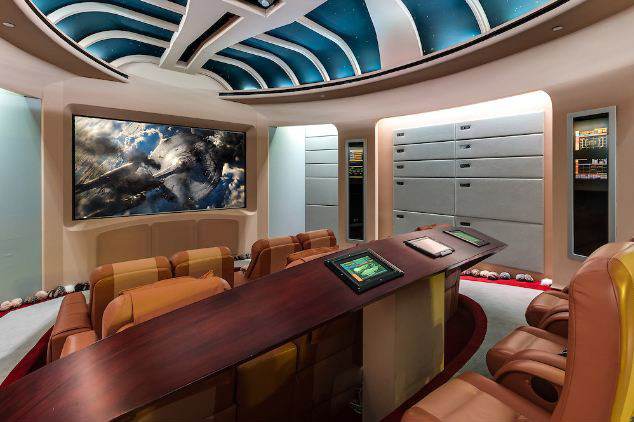 This estate in Boca Raton, Florida is the most expensive single-family home on the market in the county and, we’re guessing, also the only one with a Star Trek Enterprise-themed home theater. 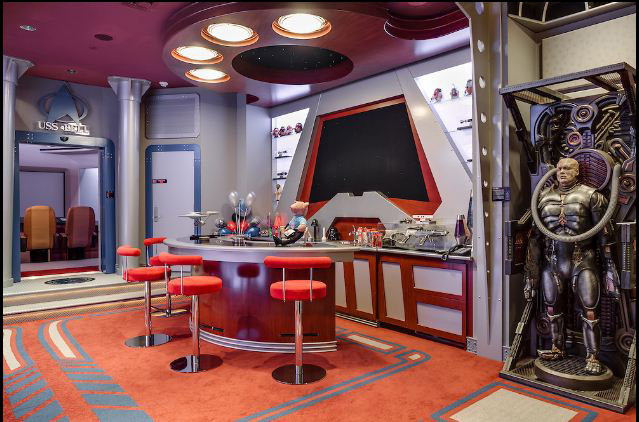 The current owner, Marc Bell, is apparently quite a fan of Star Trek, Call of Duty, and movies and video games in general. The home theater is designed to look like bridge of the Enterprise from Star Trek: The Next Generation and comes complete with original series sound effects for the doors and hundreds of thousands of stars built into the ceiling. 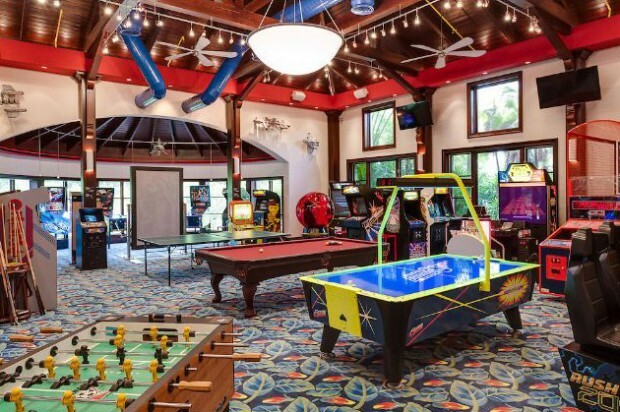 And the massive game room is filled with 60 video games and is based on the Call of Duty video game franchise and even includes a half-sized college football field. The house itself is 27,000 square feet with eight bedrooms and 16 baths.